Do you need to raise money but want to sell something that you believe in? By selling Base Natural products, you can make 25-40% of your total sales. We can customize a product brochure and order form. Generally, one talks with us, receives the forms (pdf or printed) and sells for 2-4 weeks and then receives the items 3-4 weeks after the completion of sale. We pay the sales tax, handle the inventory, and mail you a check. If you have a fundraising inquiry, please contact us. 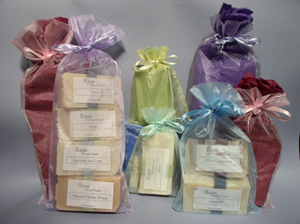 "I have tried many natural soaps, and yours is the best. I love the way it makes my skin feel and smell. Not only does it look beautiful, its wonderful natural scent makes me feel pampered. The lip balms have a fresh natural scent and go on smooth and stay smooth, unlike some other natural lip balms I have used. I am proud to give these soaps and lip balms as gifts to my friends. The effort and care put into Base Natural products really shows."